The Captain's Chair is one tough piece of outdoor fitness equipment. It offers users a challenging abdominal workout that eschews typical sit-ups or crunches. It is an intense exercise that will build core muscle fitness and strength. 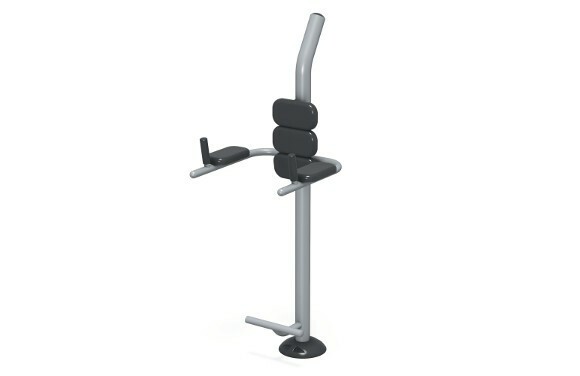 Users step up on the assist platform, place their arms against the soft padded polyurethane arm-rest pads, grip the slip-resistant PVC handles, and with their backs firm against the three comfortable back-rest pads raise and lower their legs in a variety of movements or holds depending on their workout intensity level. The Captain's Chair offers users a chance to get a core workout outdoors without laying in the wet grass or dirt. However, should users prefer to be on the ground, the assist platform can double as ankle supports for sit-ups. Constructed from steel with rust-resistant powder-coating, the Captain's Chair comes in a familiar black and metallic color scheme that is reminiscent of typical indoor fitness equipment. The steel posts, bars, metal accessories, and welds are backed by a limited 10-year Warranty, and the plastics and rubber parts are backed by a limited 2-year warranty. Warranties exclude cosmetic damage or defects. Create a community destination by offering outdoor fitness equipment and your park goers will see plenty of health benefits, including: reduced risk of cardiovascular disease, increased mental acuity and serotonin levels, and improved overall muscle and aerobic fitness. 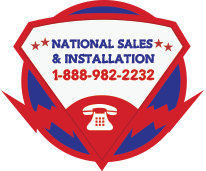 Don't hesitate to talk to a playground specialist here at American Playground Company. They can help you plan your space to maximize value and make sure you can fit as many essential activities as you'd like to provide you patrons. They'll work with your budget, and can even provide pricing for freight and installation so that you know what the bottom line is.